Kol seeks to secure his place as absolute ruler of the Klingon Empire. Whatever his plans, they will undoubtedly destabilize the Federation and its relationship with the Klingon People. 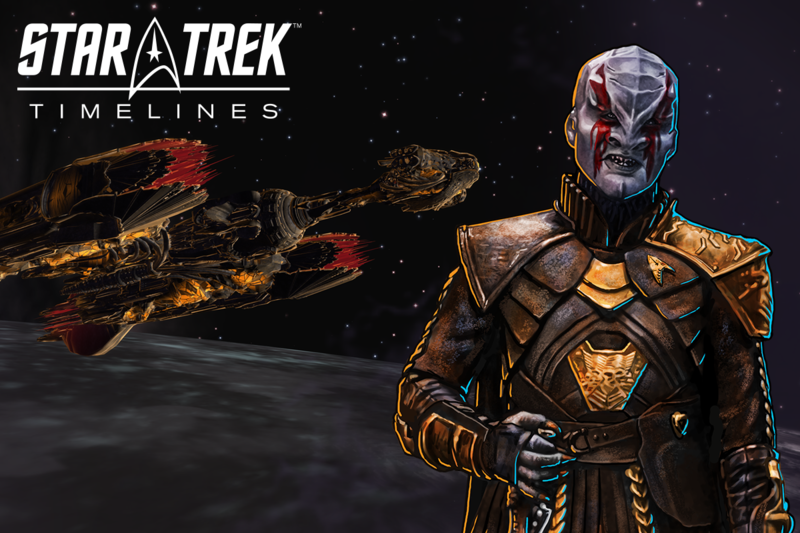 Starfleet calls on you to serve in the February Discovery Mega-Event, "Empire Reforged!" Over the course of four events, you will meet and have the chance to recruit new crew from Star Trek: Discovery, including Section 31 Phillipa Georgiou, the new Number One, Mirror Paul Stamets, and Kol himself. There will also be classic characters from Star Trek including Lieutenant Chekov (NEW), and Chief O’Brien (existing). Make sure to train your STAR TREK DISCOVERY crew as they will receive bonuses throughout the Mega-Event.